A haunting, off-the-beaten-track destination, the little-known Catlins region of New Zealand is as mysterious today as it ever was. 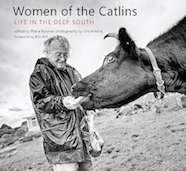 In this first in-depth look at the lives of its inhabitants, award-winning writer Diana Noonan and photographer Cris Antona collaborate to capture the thoughts and feelings of 26 women from this remote outpost. As the subjects speak for themselves on topics as diverse as family, work, isolation and their relationship with the environment, there is, at last, an opportunity for readers to enter into the heart of this rugged, unknown landscape where few venture and only the strongest make it home.